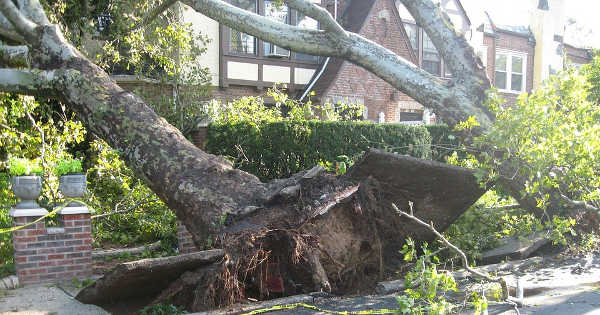 While trees are sturdy and can withstand storms, there may be times when you could encounter a tree-related emergency in your property. Trees that are weak or overgrown can be damaged by winds or storms. Fortunately, Knoxville Tree Service is available 24/7 and 365 days a year to help you deal with your emergency. If your trees are damaged by storm, you can rely on the tree service Knoxville calls on. We’ll be there at your location shortly and work to restore your area. We always give the best service to our customers. When you require our services for your emergency arbor needs, you need a team of trustworthy professionals, and we are there for you. When you call us, we’ll mobilize and send our team to your property with the appropriate equipment. Any safety concerns will then be identified and the pertinent assistance, like the utility companies for example, will be called on. This can happen if a tree branch or trunk falls on power lines. Our company’s primary goal is to make sure our customers and crew are safe, before and during any emergency tree removal or tree service procedure. Once we have set a safe working environment, we’ll service your trees and remove debris left over from the storm. Any large wood pieces will be removed. The smaller pieces will be processed inside the chipper. Our expert tree services team will work until your yard has been restored to its original state and there are no storm damage indications left. If you experience a tree emergency, you would want experts to keep your surroundings safe and get your life back on track. We have been offering the tree services Knoxville requires for some time and we know how to deal with such disaster. Let us handle the heavy lifting so you can do other tasks that are more relevant to you. Unfortunately, there are situations when large trees fall into or on structures and homes, possibly trapping you and your loved ones inside. In such situations, our emergency team should be the first to be on the scene, as firefighters and emergency personnel rely on us to pave the way so they can get to you. If you notice tree damage or you’re trapped inside because of tree damage, call us and we’ll be there shortly. However, tree emergencies rarely happen as long as the trees in your property are kept in good order. Thus, take care of your trees throughout the year, in order to minimize or altogether avoid severe storm damage. You can do this by calling us for tree services like tree trimming and letting a professional check your trees regularly for potential damage. When your trees are kept in good order, you can prevent harmful damage brought on by strong winds. Just because your tree looks sturdy doesn’t mean it’s healthy. It may look sturdy on the outside, but what’s inside could be subject to damage. Call Knoxville Tree Service and allow us to check your trees before any storm arrives. When you let us check your trees, you can avoid costly damage to your trees and home.